What an absolutely gorgeous and luxurious casual skirt by Lauren by Ralph Lauren! 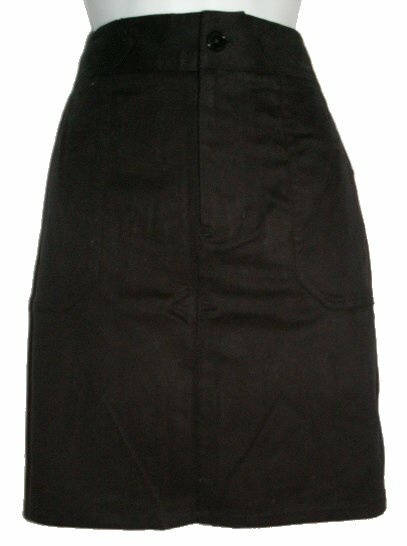 Straight skirt styling ziper and button top and flat patch pockets. Fabric is brushed stretch cotton. A black skirt with a bit of a twist! What more could you ask for? Pair this up with just about any colored top and you are set! BRAND NEW! Look and feel great...for less! Waist: 30", Length: 19"